EzyDog’s Soft Touch padded handle dog leashes and accessories feature EzyDog's own super soft proprietary blend of webbing and high-grade neoprene that make walks more comfortable for both the dog and walker. The padded dog leashes are highly visible due to the reflective stitching incorporated into the design. The leash neoprene handles are generously sized for comfort and control. 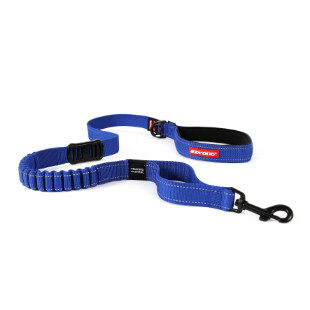 The Soft Trainer Leash and the Soft Trainer Lite Leash both feature a traffic control handle at the base giving you quick and secure control of your dog in high traffic areas. 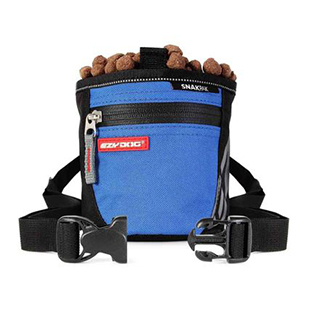 The Lite version is perfect for dogs weighing under 45lbs. These dog leashes with padded handles feature a barrel lock for attachment of accessories such as waste bags and a D-Ring for ID tag attachment as well. The Soft Touch Extensions and Couplers are perfect for gaining some additional length or for walking two dogs tangle-free on a single leash system. The Soft Touch Coupler features and added traffic control handle on one side and a tri-glide adjustment on the other which is perfect for giving additional length to one dog due to a difference in size or to allow the “Alpha” to be in front. A Lite version is also available for dogs under 45lbs. Convert any padded dog leash into a Zero Shock Leash by adding a Zero Shock Extension or Coupler. These items feature Zero Shock Technology that greatly reduces the strain put on the dog and owner from sudden jolts and pulls. The various combinations that are available within the Soft Touch range are sure to provide you with the tools you need for a successful walk! 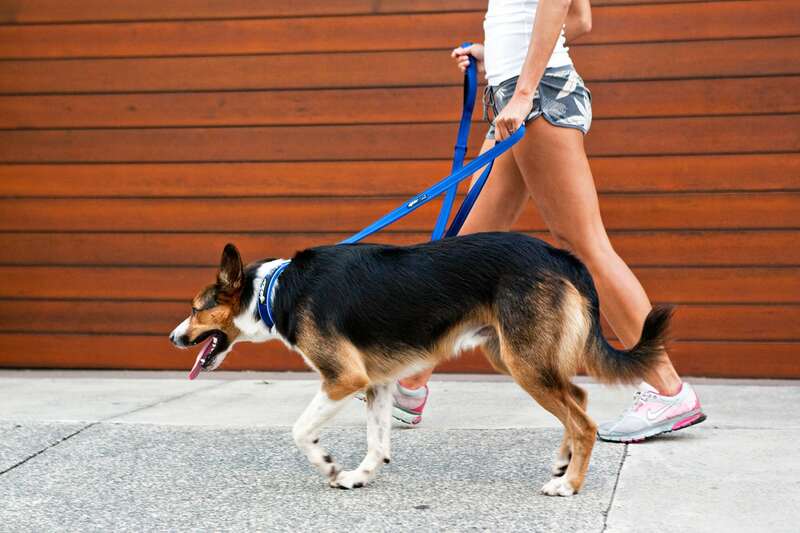 After all your time with your dog should be about enjoyment doing the activities you love best with your best friend.